Split-Charging Purchase Orders – How Cool is this Free PO Software? 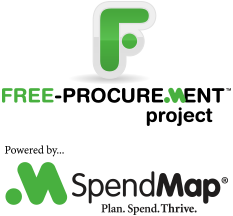 Yes, SpendMap supports multiple cost centers (departments, jobs, projects, etc.) on an order, as well as multiple GL accounts. 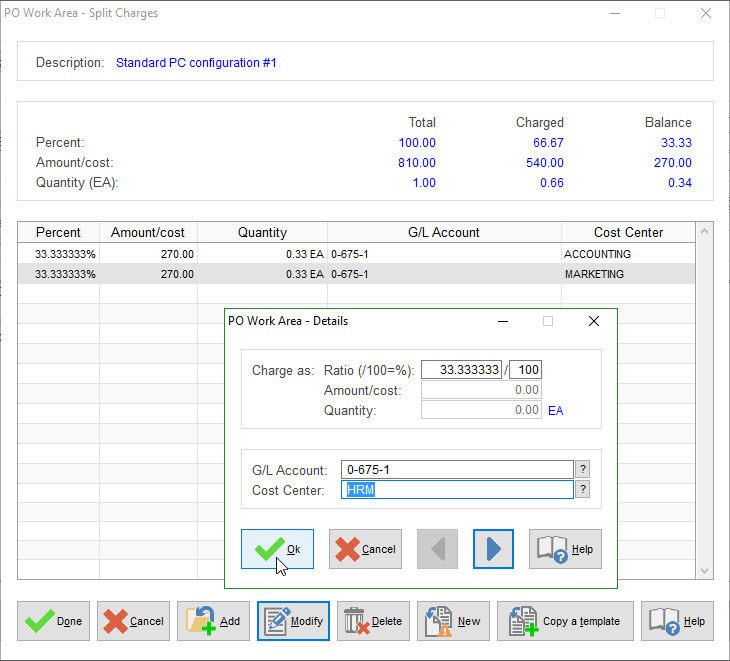 Each line item on a Purchase Order can be charged to its own cost center and GL, and you can even “split-charge” an individual line item to an unlimited number of cost centers and GL account codes. Usage Example: A database server might be charged to a single G/L account for “computer hardware” but three Cost Centers if, for example, the Marketing, Accounting and Human Resources departments will be sharing the server. This allows you to include the item one time only on the Purchase Order while properly allocating the costs to the various account codes for internal reporting and tracking. An alternative would be to include the item many times on the PO, with each line item being charged to a single set of account codes. However, repeating the item on the PO would be more work and might cause confusion for your suppliers as well internal staff that will work on the PO (e.g. Receivers, Accounts Payable, etc. ).